Candles with hidden prizes are fun to give as gifts or purchase for your own use. The most commonly known prizes are rings and other jewelry; however, there are many other types of prizes hidden in candles, such as money, crystals, statues and even porcelain dragons. The Cash Money Candle® collection from Jewelry Candles has 30 different scents. The Birthday Cake fragrance is dubbed as Jewelry Candles' best-selling scent, and is sure to evoke the comforting feelings of past birthdays. The scent is touted as a buttery cake with vanilla frosting. Cash Money candles offer prizes between $2 and $2,500. The company states that the money is randomly placed in the candles. Allow the candle to burn down enough to reveal the foil packet. You are guaranteed to find at least a $2 bill. You can also find a few other places that sell different types of money candles, including Hidden Treasures, Frog Soapworks and some Etsy stores. Inside each handmade candle you will find a hidden crystal. Ban.Dō offers pyramid-shaped candles are hand-dipped to create a mix of colorful swirls reminiscent of a tie-dyed shirt. Two color combinations are available. The candles come in three sizes - small, medium and large. Small: This 4"H candle is a blue and green combination in a tie-dye design. The price is around $20. Medium: This 5"H candle size is available in a pink and yellow or blue and pink combination tie-dye design. The price is around $18. Large: This 6"H candle is only available in pink and yellow combination in a tie-dye design. The price is around $22. A few tips can help you get the most out of your candle and its prize. You'll want to set the candle on a plate or flat candle holder prior to lighting the wick. 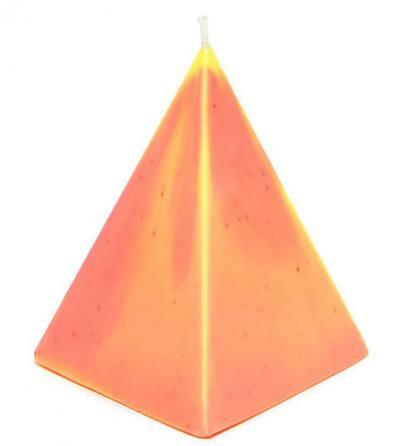 Due to its pyramidal shape, the candle may not burn evenly the same way a pillar or other round shaped candle will. Other places to find candles with crystal prizes include Jax Kelly and Soul-Terra. Uncommon Goods features unscented pillar-shaped candles by Spirit Candles that contain hidden bronze statue prizes. When the candle wax begins to melt, the cast iron sculpted bronzed statues are revealed. The reveal is slow and requires a gradual burning before the sculpture can be safely removed. 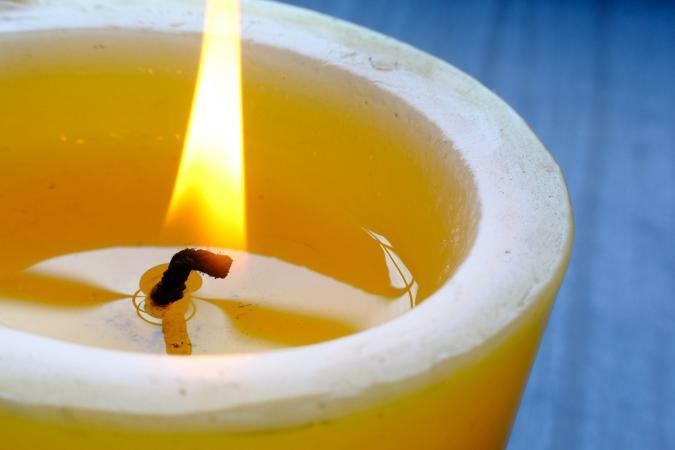 The website advises customers to be patient and enjoy the candle burning process. 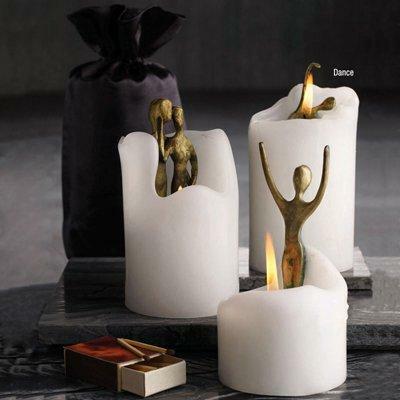 Statues: Each candle contains one statue of your choice: Dance, Embrace, or Nurture. Price: Around $30 (four shipping options at checkout). Your statue may be blackened from the candle flame and candle smoke. This is easily removed by polishing with a soft damp cloth. Use as a decorative accessory on a mantel, table or bookcase. This candle is shaped like a scaly egg, and hidden inside is a porcelain dragon. The myth of dragon eggs requiring a funeral pyre in order to hatch can be re-enacted with this hidden prize candle. Watch the wax melt away to reveal a colorful porcelain dragon with this candle, offered exclusively by Firebox. Candles: The eggs are one color. Dragons: The dragons are either green, red or black. Price: Around $40 plus shipping fee (around $7). The porcelain dragon will have soot and smoke residue. Allow the porcelain dragon to cool before attempting to remove the soot with a clean cloth. If you have difficulty removing the soot, first soak the porcelain dragon in dish detergent, dry and finish cleaning with a Magic Eraser. It's best to allow the candle to burn beyond the tip of the foil-wrapped prize for easy removal. This requires patience. Part of the entertainment is watching the candle wax melt to reveal more and more of your prize. Extinguish the candle flame before attempting to remove the prize. Use a pair of tweezers to grasp the wrapped prize and remove from the candle wax. Place the wrapped prize on several layers of paper towel. You can use a paper plate underneath the paper towels to protect table surface. The foil wrapping will be hot, so allow it to cool before unwrapping your prize. Once your prize has been unwrapped, handle it carefully in case it is still radiating heat. You can purchase candles with unique and fun prizes hidden in them. Share with friends and family to see what prizes await once the candle wax has melted.